Stanley Eric Snow passed away peacefully on April 4, 2019, at the Southern Utah Veterans Home in Ivins, Utah, from complications from an aneurysm in his back. He was 85. Stan had lived in the veterans home for five and a half years, entering as one of the initial residents in the new facility in 2013. Stan was born in St. George, Utah, on the Fourth of July, 1933, to Erastus Eric and Ruth Bleak Snow. He was the second of three boys. He was raised in small town St. George, spending summers running free with his buddies wearing overalls and barefoot while his parents ran the E. B. Snow Furniture Company in the middle of town. He was often the patriotic center of school productions as “Uncle Sam,” and celebrating his birthday every Fourth of July is a wonderful tradition in our family, especially celebrating with the community in Pine Valley. He attended Woodward Junior High where he picked up playing the bass horn in the band. He continued playing the bass horn into college and also many years in the Pine Valley Fourth of July band. Stan met his sweetheart, Betty Louise Allen, in 1952 while attending Dixie College. They were married for time and all eternity in the St. George temple of The Church of Jesus Christ of Latter-day Saints on April 8, 1953. Last Monday was their 66th anniversary. That particular date made it difficult to celebrate their anniversary because Stan became a CPA and often couldn’t celebrate until after the 15th of April deadline every year. Stan was drafted in 1954 and served two years in the Army during the Korean conflict at Schofield Barracks, Oahu, Hawaii, as a supply clerk. After his discharge, Stan and Betty headed to Logan, Utah, where he graduated in accounting from Utah State University in 1958. He took his first job in Twin Falls, Idaho, with LeGrande Nelson, and he continued to be a CPA in that community for 43 years, retiring in 2001. He started his own firm in 1970 and joined with LuDell Waldren in 1972. They worked in partnership for 30 years. His firm sponsored the annual 1040K fun run/walk just after tax season. At his request the Southern Utah Veterans Home began sponsoring an annual race which became known as the Stan Snow 5K and Fun Run. Stan and Betty have five children and put down deep roots in the Twin Falls community. He served nine years on the Twin Falls County Fair Board; nine years on the Idaho State Board of Accountancy; as president of the Twin Falls Kiwanis Club, lieutenant governor for Division 5 of the Utah/Idaho District and governor of the Utah/Idaho District; 17 years as a Little League football coach for seventh-graders; and also as a Scout Master (twice taking troops to the National Jamboree) and received the Silver Beaver award from the Snake River Council of the BSA. He formed the foundation for the athletic department of the College of Southern Idaho serving on that board for 30 years and was the first president of the Golden Eagle Booster Club. He was elected to the CSI Athletic Hall of Fame. 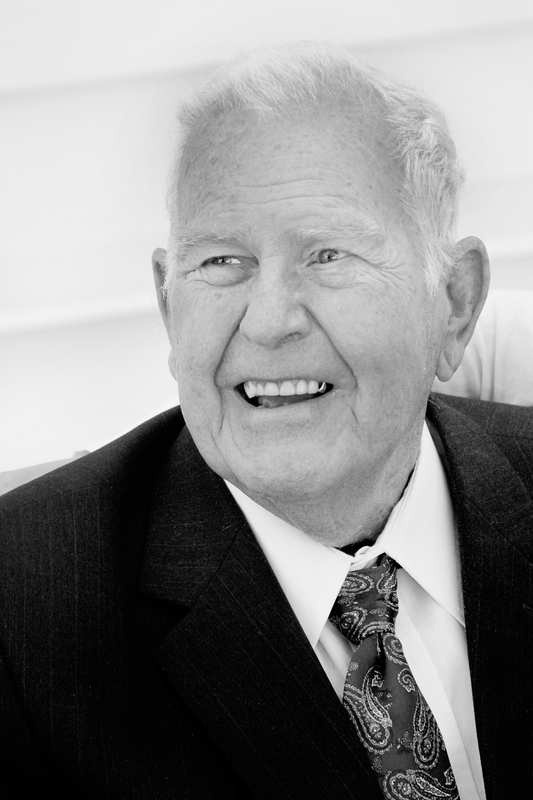 Stan was an active member of The Church of Jesus Christ of Latter-day Saints and served continually all his life. He served as a Bishop of the Twin Falls 2nd ward from 1968 to 1973, Stake Executive Secretary for three years, and Stake First Counselor to Don Watson with Max Casperson, 1976-1984, as well as numerous other callings. Stan and Betty served a two-year full-time mission for the church in the South East Africa Area in Johannesburg, South Africa, as an auditor/trainer, 2003-2004. After retirement, Stan and Betty moved to Pine Valley, Utah, a quiet mountain community above St. George that they loved. As a young teenager, Stan helped build a cabin there with his dad, and in 1974 bought property of their own. He and Betty spent summers there and winters in Mesa, Arizona, where he served as activity director of their RV park for several years. He also served on the residents’ board at the Southern Utah Veterans Home. In July 2012 Stan suffered a stroke that required hospitalization and rehabilitation for many months. The result was paralysis of his left side, confinement to a wheelchair and the need for skilled nursing care. Despite his disability Stan maintained his sharp mind and quick wit and was always optimistic about walking again on his own. Stan continued to cheer on his beloved Dixie State football and basketball teams and to share the gospel with his friends and family. The light of his life was his wife, Betty, and he would talk about her to everyone. Having her visit was the highlight of his days and weeks. The veterans home in Ivins, Utah, was a blessing to Stan in his years of physical need. The attentive and gracious staff and residents all became his friends. He trained many new CNAs in his years there. His family’s sincere appreciation cannot be appropriately expressed. Thank you, sincerely. Stan is survived by his lovely wife Betty Allen Snow; his five children Allen Eric Snow (Nancy) of Riverton, Utah, Sharon Snow Dalley (Robert) of Pine Valley, Utah, Lori Snow Olsen (Jim) of Salt Lake City, Utah, Douglas Bleak Snow (Sara) of Arlington, Virginia, and Scott Beaman Snow (Amie) of Gilbert, Arizona; brother Earl Bleak Snow (Kathy); 22 grandchildren and 40 great-grandchildren. He was preceded in death by his parents, brother Gregg Erastus Snow and his wife Jeanie, and two great-grandchildren Daniel Hansen and Ruby Hellstrom. A viewing will be held Thursday, April 11, from 6:30-8 p.m. at Spilsbury Mortuary in St. George, Utah, and Friday, April 12, from 10-11 a.m. in the Pine Valley historic chapel. Funeral services will be in the Pine Valley chapel at 11:30 a.m., Friday, April 12, with interment immediately following in the Pine Valley cemetery. In lieu of flowers, donations may be made by mail or in person to the Southern Utah Veterans Home in Stan’s name.